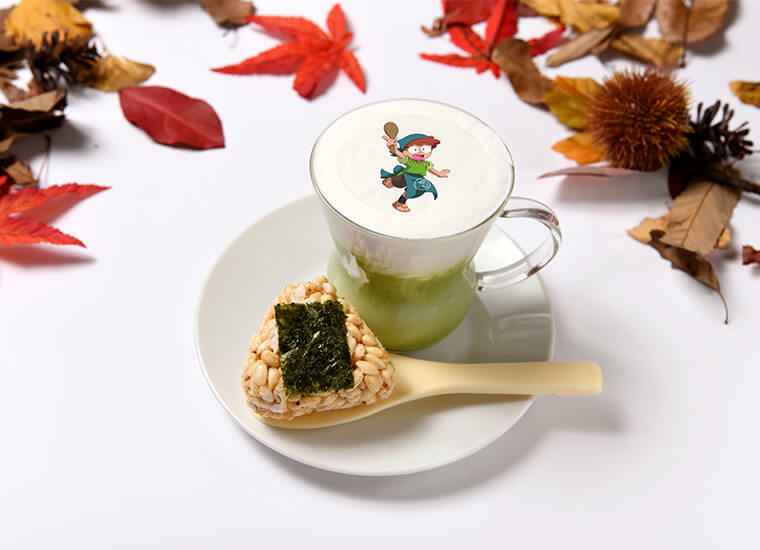 Two limited-time-offer collaboration cafés named “Nintama Rantaro Chaya” (cafés using the motif of the popular TV animation with the same name) will be opened in Osaka and Tokyo. 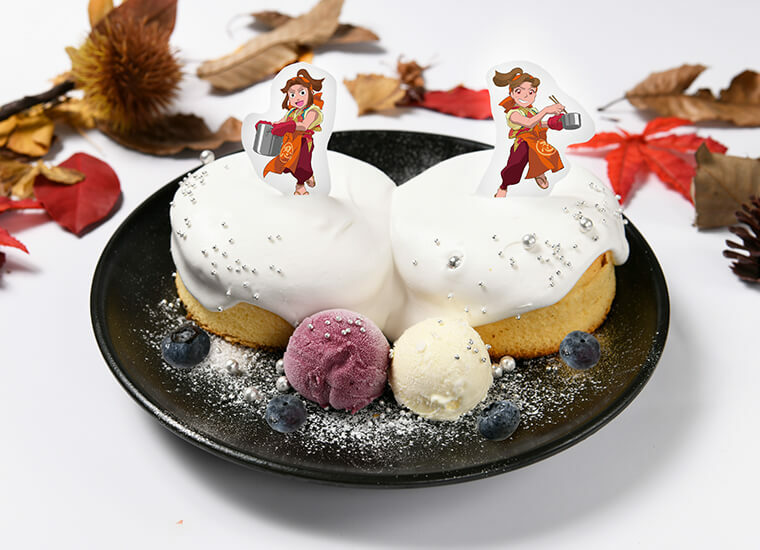 The Osaka café will be opened in “contact” located in Shinsaibashi starting from October 12th (Fri.) and the Tokyo café will be opened in “OMOTESANDO BOX CAFÉ & SPACE” located in Omotesando starting from Octorber 25th (Thurs.). Seniors of these 3 students and some teachers decide that they will lend a helping hand in the training session, so they go along. 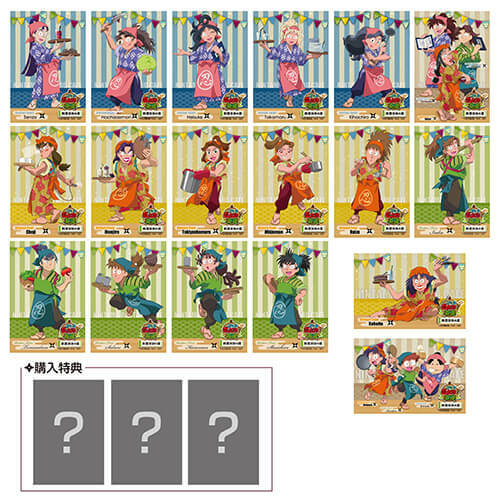 Furthermore, the principal declares, “If your tea house does a booming business, I will give you a reward!” And so, a heated cooking competition unfolds. All menu item prices are the before-tax price. 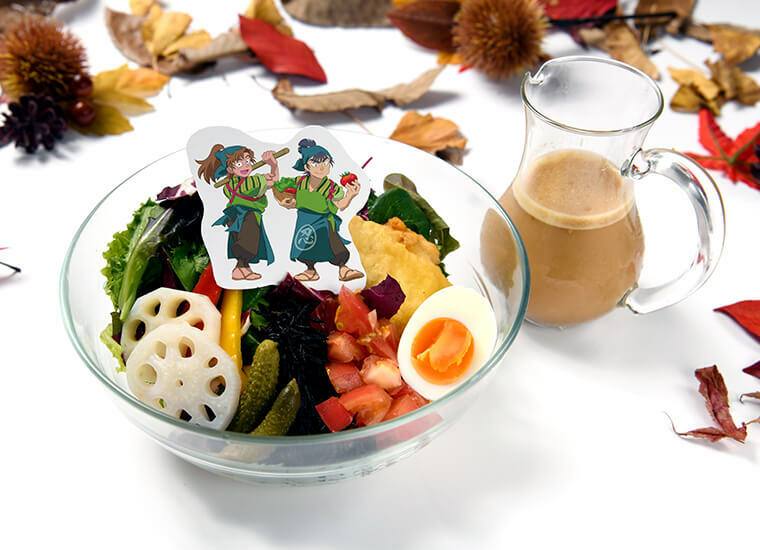 Isaku and Kematome’s collaborative “vegetable-rich” healthy salad udon. By pouring a seseme sauce on the udon the taste becomes even better. A high-powered rice bowl made by Choji, Koheita and Monjiro. By scooping a small serving of the rice bowl into a small bowl and pouring the broth over it, you can have a hitsumabushi-style dish. 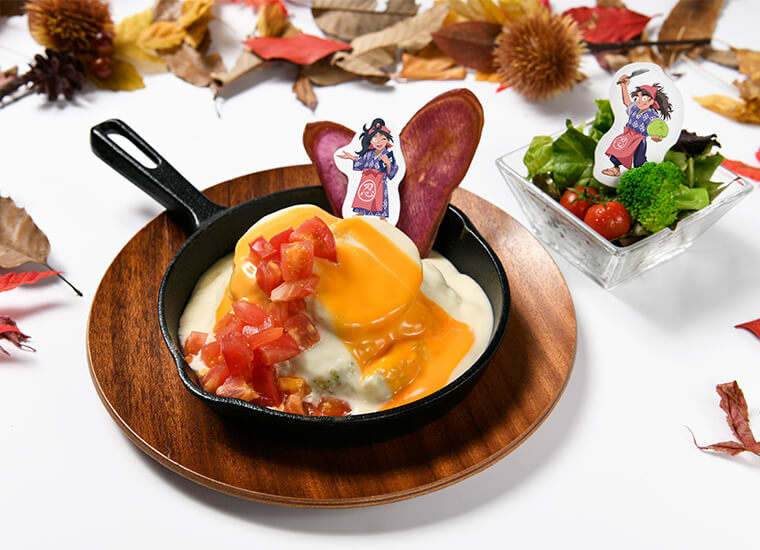 Kukuchi offers you a “modern-tasteing” tofu hamburg doria. The rice placed under the hamburg has a jazzy basil flavor. This comes with Takeya’s fresh salad set. A star and an idol dance on the stage! Don’t miss Takiya shamaru and Mikiemon’s collaborative dream collaboration! 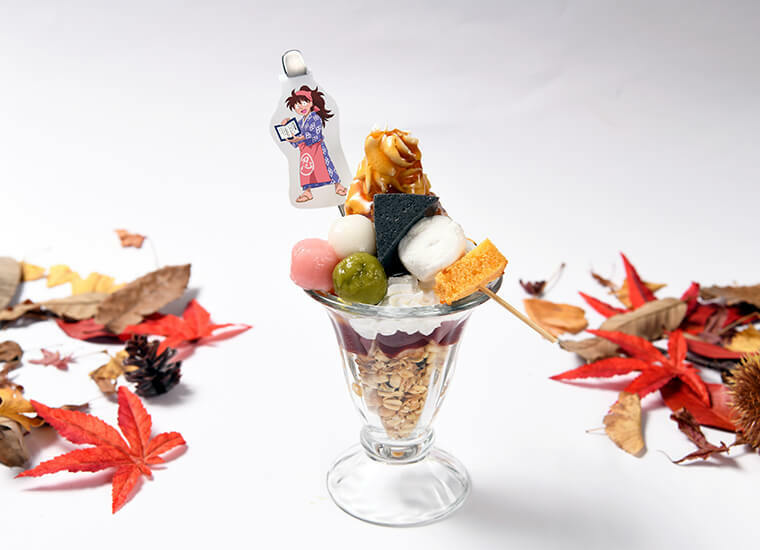 Ms. Yamada, you put a whole ohagi on top of the parfait! Denko-san’s powerful parfait. 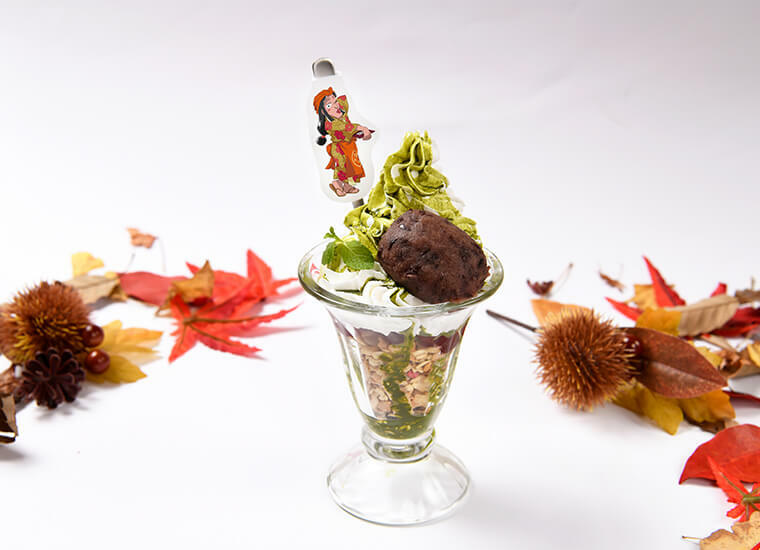 Have a relaxing matcha latte with Rantaro’s special onigiri-shaped rice cookie. 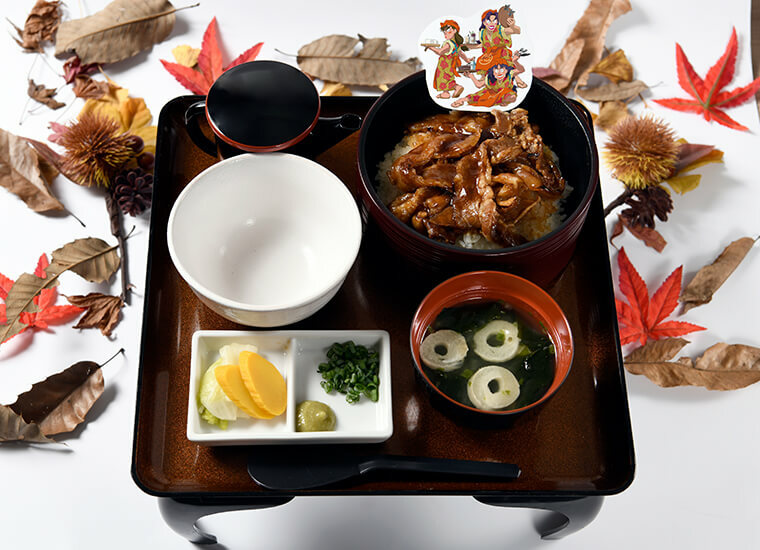 Enjoy the numerous other Nintama-style menu items of these 3 different tea houses. You can also purchase original goods that can only be bought at these cafes. You can also purchase special post cards and egg-shaped key holders. 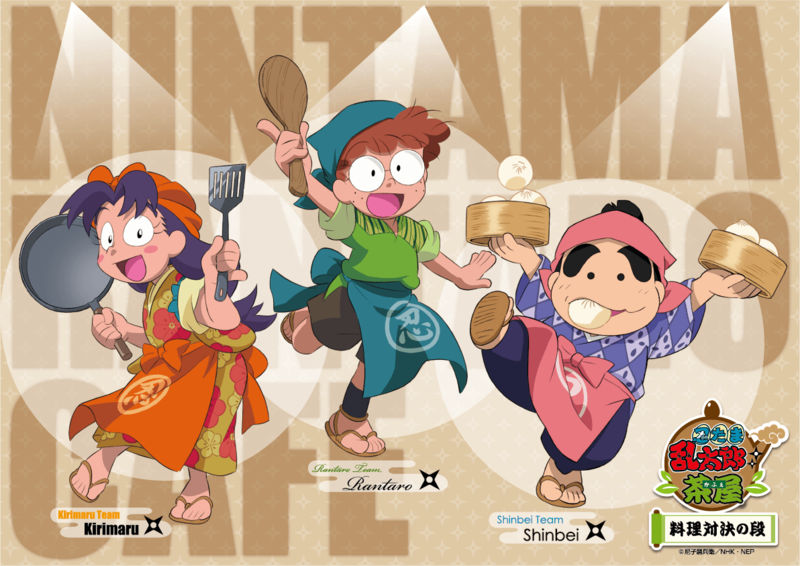 Don’t miss this chance to get your very own Nintama Rantaro goods. Reservations are required and all persons who make reservations will receive 1 original sticker (3 types given out at random). 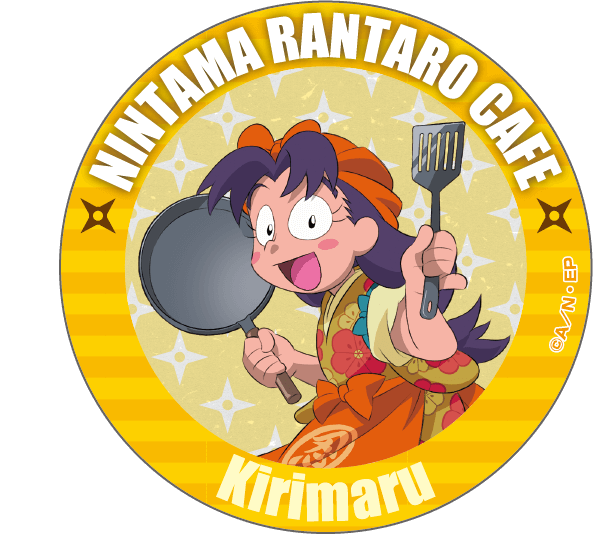 In addition, special lunch mats (4 types given out at random) will be given to all customers of the café and customers ordering a drink will receive special coasters (22 types given out at random). 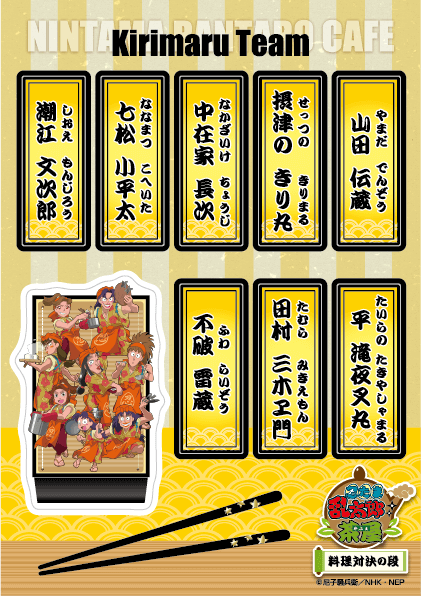 All Rintama Rantaro fans, why not come and enjoy these collaborative cafes!